Puritan’s Pride® began over 40 years ago, with the mission of making the finest quality nutritional supplements available at the best value to their customers. Today, the company remains true to its original commitment and serves millions of loyal customers. Puritan’s Pride manufactures thousands of vitamins, minerals, herbs and other nutritional supplements in their state-of-the art facilities located throughout the U.S. As part of the company’s commitment to quality, Puritan’s Pride only uses ingredients from suppliers worldwide that meet their Quality Assurance Standards, as well as Good Manufacturing Practices food quality standards. Children's Multivitamins & Minerals Gummies - Included in these tasty gummies are Vitamin A for the eyes, Vitamin D for the bones, and Vitamins C and E, plus Zinc, for the immune system. * These delicious chewable gummies will make vitamin time your child's favorite time! Teen Multivitamin Gummy- Teen Multi Gummies are a delicious and convenient source of vitamins and minerals. It provides nutritional support to address the unique health needs of today’s active teens. * Multivitamin supports immune health and strong bones and teeth. * Available in tangerine, watermelon & berry flavors. Adult Multivitamin Gummy- An adult multivitamin that’s delicious and fun to take. This multi-vitamin contains vitamin and mineral support for your heart, eyes, bones and joints. * The great-tasting natural flavors include orange, cherry and grape. I'm pretty nuts about taking vitamins, it's important to keep a healthy level of vitamins to maintain your health and be able to fight off sicknesses. I make sure everyday that we all take our vitamins and thankfully this winter has been rather kind to us (touch wood) in that we haven't been really sick and I attribute that to making sure we have our vitamins. It's great to be able to eat fruit all the time to make sure you're getting plenty of the proper vitamins but we can't always have a produce section of a super market in our house so the next best thing is to make sure you have Puritan's Pride Vitamins in your closet. We take our vitamins everyday and I make sure to bring them with us when we go away on vacation too! My husband would always come home from Disney World with a souvenir you don't want a horrible cold, thanks to taking his vitamins he hasn't come home with a cold in a long while. I know a lot of vitamins are out there to choose from so why should you select Puritan's Pride? Taste! I would have a devil of a time getting my daughter to take her vitamins because of the taste but the Puritan's Pride gummies she takes taste great and I no longer have to beg her to take her vitamins. The adult multi gummies taste just as good and they come in three flavors: orange, cherry & grape. It's like popping a couple of pieces of candy except instead of ruining your teeth and messing up your appetite you're helping to make yourself stronger and healthier in the long run. No longer do you have to swallow large horse pills with a terrible taste. 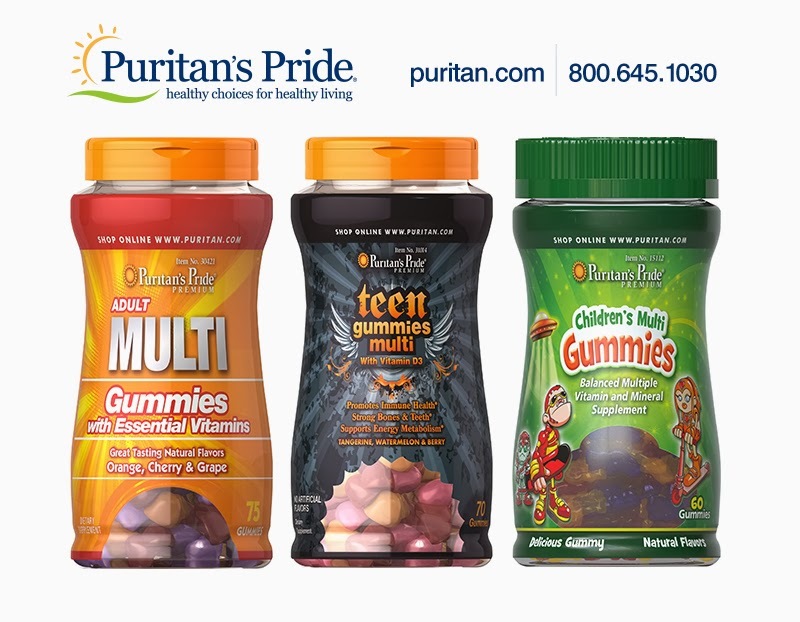 Thanks to Puritan's Pride you can get your essential vitamins and minerals in the form of a delicious gummy that will make you think you're eating candy! So if are looking for some great new nutritional supplements to help you keep your new year’s resolution I would highly suggest checking out the great nutritional supplements from Puritan’s Pride. I love that these gummies are all made with, No Artificial Flavor or Sweetener, No Milk, No Lactose, No Gluten, No Wheat, No Yeast, No Fish. Sodium Free. Puritans pride offers a great reorder program, and the more you buy the more you save. They have a wonderful selection of supplements and much more from hair serums to healthy teas Puritan’s Pride will have just what you need to kick start a great new year for your body inside and out! The generous folks at Puritans Pride are giving one of Susan’s Disney Family readers a chance to win a bottle of Adult Gummies, and Children’s Gummies. Would you like to win? Please visit the Puritans Pride website, take a look around then come back here and tell me something you would like to try on the site. There are also other ways to enter, please enter below. Disclosure: The reviews and or opinions on this blog are my own opinions . I received vitamins to review. No monitory compensation was received. I was not required to write a positive review. Your experience may differ. The opinions I have expressed are my own I am disclosing this in accordance with the Federal Trade Commissions 16 CFR Part 255: Guides Concerning the Use of Endorsement and Testimonials in Advertising . I like and usually order the Co Q-10 100 mg. 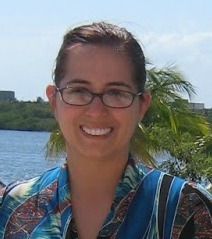 I might also like to try the Garcinia Cambogia. the adult multi vitamin gummy would be my favorite - i love gummy vites! I'd like to try the Adult Multi. I could really use some Mega Vita-Min Multivitamins. I would love to try the mega vita-min multivitamins or the adult gummies! The adult vitamins seem great! I would like to try the "Vita-Min Multivitamin (Complete Formula #1)". I think the adult multi gummies would be my top pick. I would like the Adult Mega-Vitamin Gummies! My kids are 11 and 13 so the older kids/teen vitamin would be perfect! I like the Adult Multi Gummy vitamins. I like the adult chewable vitamins because I have a hard time swallowing pills. I like the Omega 3's Fish Oil! I like the Ultra Woman Daily Multi Time Released Vitamin! I'd like the Hubmar SpaScenter Aromatherapy Diffuser. I like the CoQ10 also. I like the childrens gummy vitamins. I would love the Adult Gummies! I like the Roasted Unsalted Cashews. i would love to try the adult gummies. i am tony l smoaks on rafflecopter.